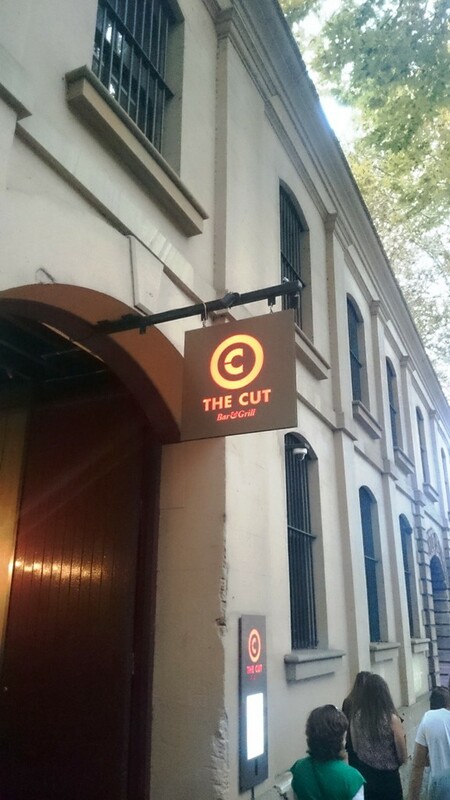 Taking the motif of a well polished dungeonesque basement, The Cut was my last stop in Sydney, but they’ll be more on that later. 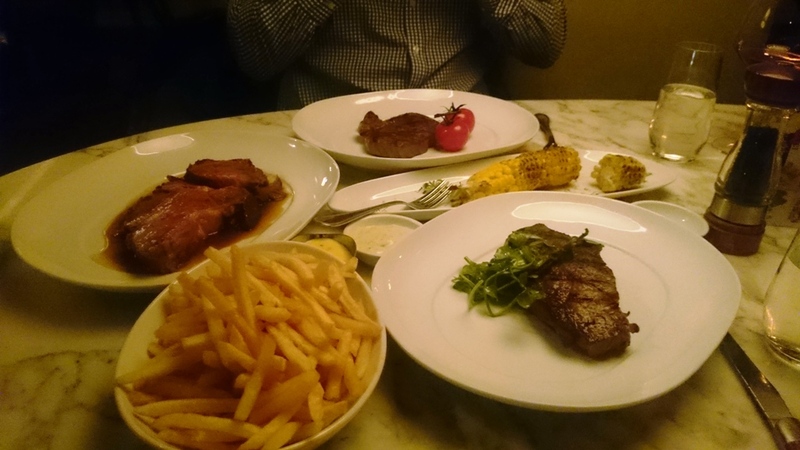 The menu at The Cut is limited, however it does offer a number of cuts in different beef grades, which if done well is all you really need to offer, it was somewhat like a showcase of skill and produce. After a significant amount of discussion between my friend and I we decided to go all out, we ordered the standing rib roast cut at 300g, the 250g 7+ wagyu sirloin medium rare and the 250g grass-fed sirloin rare. We also ordered two sides, the corn and shoestring fries. They were both forgettable and not the most stellar sides. All the food hit the table at once the steaks served on warm plates with a few roasted tomatoes thrown on the plate. We dove into the grass fed sirloin first, it was cooked rare quite well and had a great char with a bold beef flavour, only let down by the tenderness, but that’s the trade off with the grass fed flavour. The wagyu next, it was charred well and carried a rich fatty flavour with pillows of bursting fat pockets. It was exactly as wagyu should be, the marbling and creaminess, the only problem being that it was overcooked and moving toward a grainy texture, moreover making it lose its natural fatty tenderness. Last but not least, the Standing roast; at 300g it looked quite large, especially after just having already put away two steaks. It was half roast half steak, the beef was an F1 wagyu as well, and this one however has the true melt in your mouth tenderness, the rib eye cut and the cooking the main contributing factors. 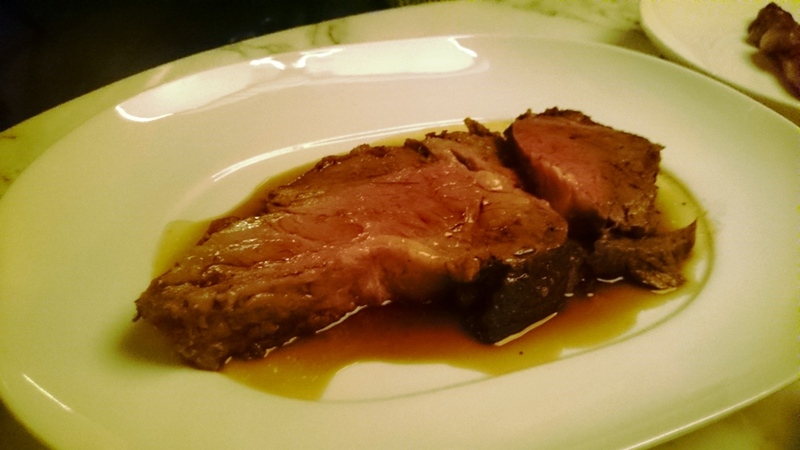 It was served with a deliciously caramelized veal jus which tied perfectly with the fatty meat. I really enjoyed The Cut and am glad it was my last steak in Sydney, a worthy end. 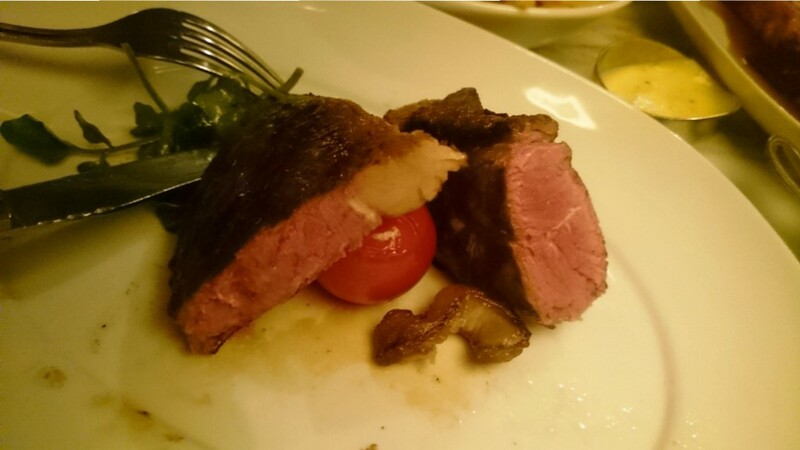 Posted on July 8, 2015 by AdrielPosted in Steak, SydneyTagged grassfed, Sirloin, Standing rib roast, Steaks, Sydney, Wagyu.